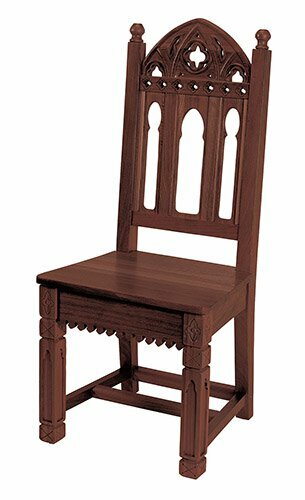 With its traditional Gothic design elements incorporated throughout, this piece is crafted with functional purpose in mind. Some assembly required. Complements other pieces in the Gothic Collection. Also available in Medium Oak Stain (#TS985).